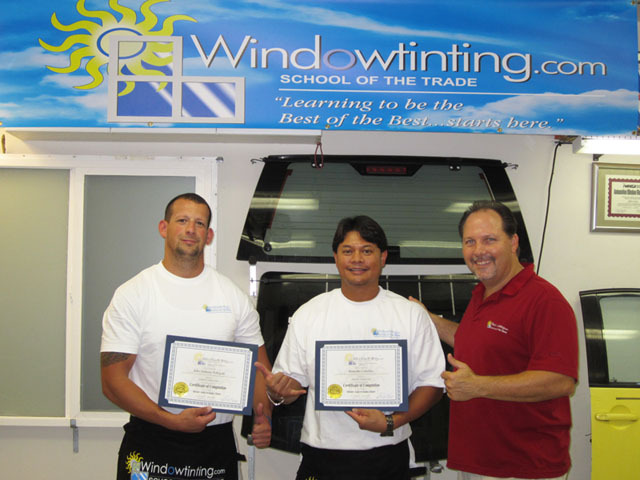 I worked with other tinters that have been in the business a long time and I was never really happy with the results. I always felt there had to be an easier way (the right way) other then the way I was being taught. Once coming here and now have taken this course, I now realize I have, in one week, way more knowledge than the tinters that thought they knew what they were doing...AMAZING SCHOOL!!! OMG!!! I would highly recommend this school to anyone! I was completely blown away! One word…AWESOME!!! It was world class training at its best and the trip all the way from the east coast was well worth it…thank you, Robert!